With two Academy Awards, three Golden Globes, and an AFI Life Achievement Award, the world renowned actress, writer, former fashion model, and fitness guru, has been a leading political activist throughout her life. From Vietnam onward, Ms. Fonda has been a loud critic of US imperialism, a defender of the environment and the rights of indigenous peoples, and a strident feminist — fighting to end violence against women. In 2005, she, Robin Morgan, and Gloria Steinem co-founded the Women’s Media Center to amplify the voices of women and girls in the media. Jane celebrated her 80th birthday in December 2017 by raising $1.3 million for her nonprofit, the Georgia Campaign for Adolescent Power & Potential, which works to lower the teen pregnancy rate in the state of Georgia and improve the overall health and well-being of young people in the state to ensure a more powerful future for us all. 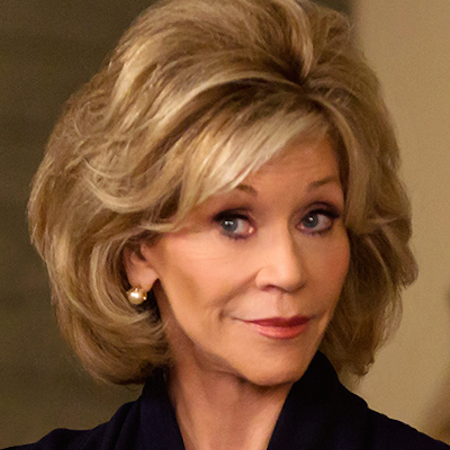 In September 2018, HBO released a new original documentary, Jane Fonda in Five Acts, an intimate look at her remarkable journey.